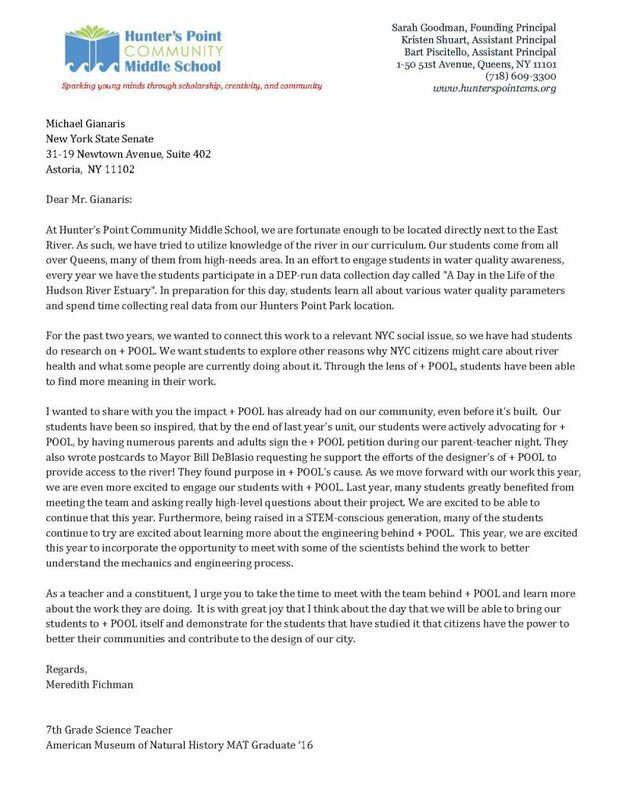 Students from Hunters Point Community Middle School participate in a DEP-run data collection program called “A Day in the Life of the Hudson River Estuary” every year, and for the past couple years have studied + POOL as part of the curriculum. 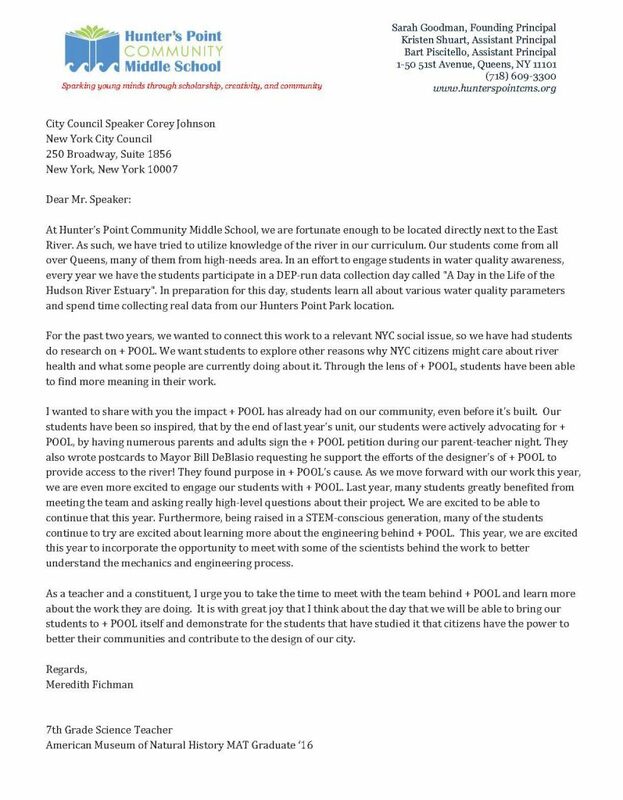 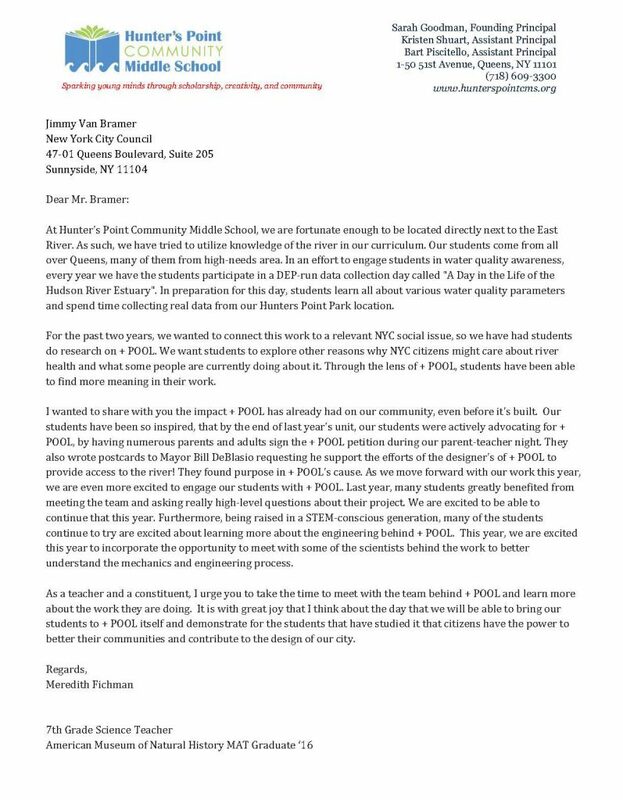 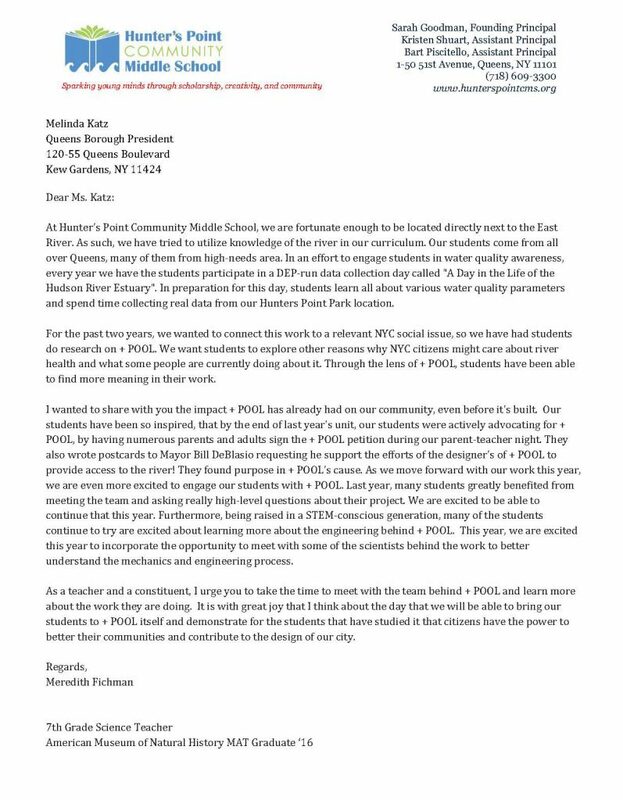 7th Grade Science Teacher Meredith Fichman wrote Letters of Support to City Council Speaker Corey Johnson, Joseph Risi of Queens Community Board 1, Denise Keehan-Smith of Queens Community Board 2, Jimmy Van Bramer of the New York City Council, State Senator Michael Gianaris, New York State Assemblymember Catherine Nolan, and Queens Borough President Melinda Katz. 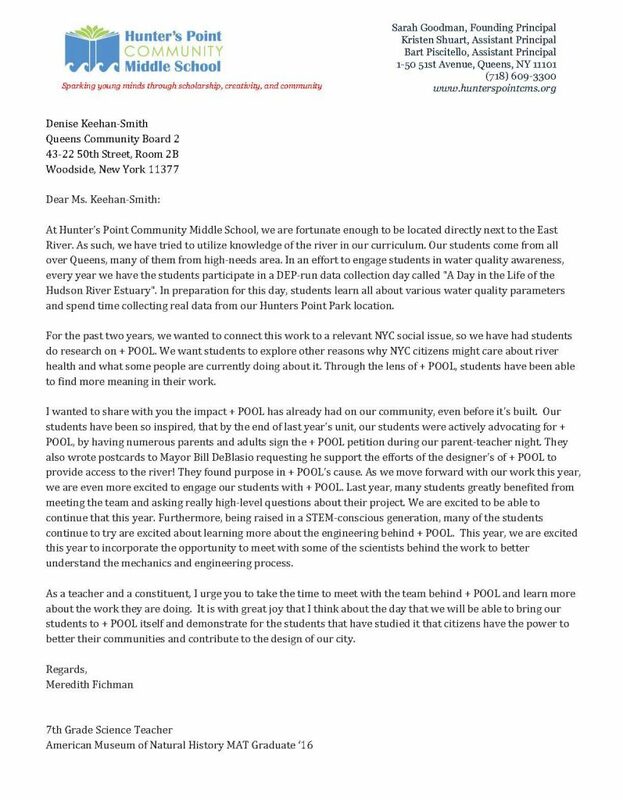 Thanks, Mer! 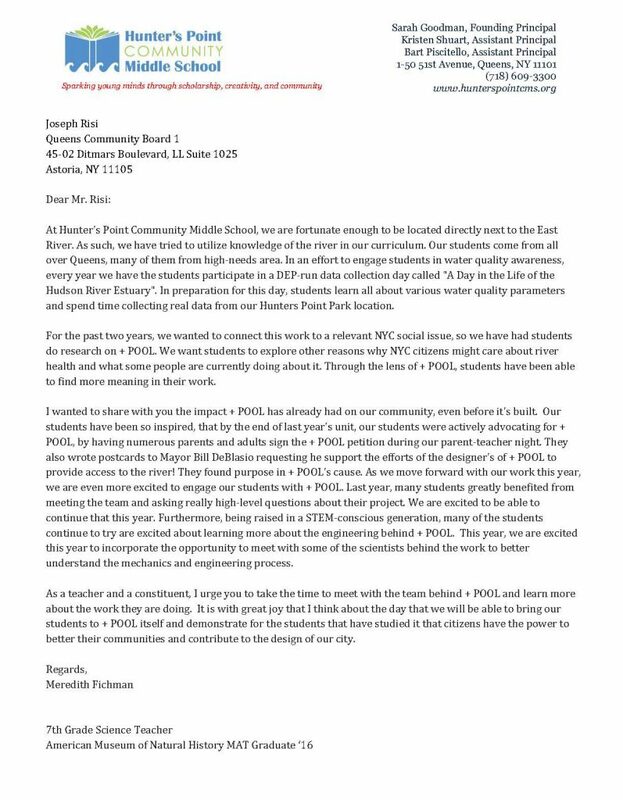 Read the letters here!